Here we begin the second half of this study, and we will witness this turning point alluded to previously, regarding the LORD Jesus Christ, the Messiah of Israel and how this notable event changed everything around for “the kingdom of heaven” that was “in [their] midst” but was summarily rejected by the religious rulers of Israel, the Sanhedren. 26 For ye are all the children of God by faith in Christ Jesus. 27 For as many of you as have been baptized into Christ have put on Christ. 28 There is neither Jew nor Greek, there is neither bond nor free, there is neither male nor female: for ye are all one in Christ Jesus. 29 And if ye be Christ's, then are ye Abraham's seed, and heirs according to the promise. In Chapter 12 we have a profoundly significant incident that correlates with a similar event that took place in MATT. 9:32-34. When the witness of the Messiah is rejected by the official religious body of the Sanhedren, based on these specific miracles that He performed in these two chapters, it alters the LORD's ministry and relationship to Israel as a nation, which we shall see in this (and subsequent) chapters. Here we see Jesus – Y'shua the son of Mary and Joseph, his step-father; He is an observant Jew and fulfilled all of the Law perfectly (MATT.5:17-18) as the spotless Lamb of God without blemish (1 PET. 1:19); and yet here we see Him and His disciples gleaning grain on the sabbath day and the Pharisees are quick to point this out. The LORD replies by citing two examples of some others who did similar things and yet there is no blame laid against them for doing so by the witness of Scripture: David and his fighting men (1 SAM. 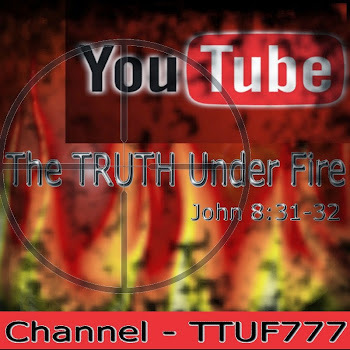 21:1-6), and even the priests themselves of the Temple. The LORD then directs the Pharisees to recognize that there is One in their midst Who is greater than the Temple: Himself: the Messiah of Israel, Who also happens to be the LORD of the sabbath, for it was He that instituted the Sabbath as the seventh day upon which Israel was to rest from all of their work, even as the LORD God rested (See EX. 20:8-11; not in recuperation of strength, for that would be pointless for the Almighty, but merely a cessation of work) in His creation (GEN. 1 and 2). The Pharisees had elevated the sabbath to such a degree that they used the observance of such as a means of justification, when it was simply a means of providing the Jews a time of rest from their labors and reflection through prayer and meditation on the Word of the LORD Himself and all of the blessings and promises He had given to Israel. While adhering to the 'letter of the Law' they missed the 'spirit of the Law', that is, the heart of its intention – in this case, a blessing for Israel to rest, reflect and worship YHWH. We cannot miss the LORD's desire for His people, that they would have hearts of mercy (and love their neighbors as themselves) in caring for the poor (who were allowed to glean the corners of crop fields as a method of social welfare) rather than mere sacrifice with coldness of heart – obedience without the motivation of love is useless to the LORD (see 1 COR. 13); religious externalism, formalism and hypocrisy are grevious offenses to the LORD and cannot affect the heart of man by drawing him to his Maker, but only affect it by encouraging pride and self-righteousness. When left unchecked such a heart condition of hypocrisy will seek to fulfill religious obligations without a heart for God, while placating the desires for the things of the world (in Israel's apostate condition – this meant a love for material possessions as well as for the adoration of pagan deities (See ISAIAH 1:10-17). Yet the LORD isn't finished blowing the minds of the Pharisees quite yet! He proceeds then into their synagogue and sees a man with a withered (paralyzed) hand; the Pharisees pose the question, whether or not it was lawful to heal on the sabbath day. They assumed that if the LORD said, Yes then they would be able to accuse Him of sinning against the Law. Yet when one considers that any one who would work a miracle (a supernatural act), cannot do such a thing by their own power – such must be accomplished by one with supernatural ability, that being God Himself Who is not bound at all to any Sabbath regulations. It would seem that the accusation by the Pharisees here is entirely baseless, wouldn't it? The LORD Jesus posits a question to these religious leaders, and they don't deny His assertion (that if they had a trapped sheep, they would seek to loose it even on the Sabbath day). He concludes then, that since a man is better than a sheep (How do you like that, evolutionists and New Agers? ), it is right to bring healing on the Sabbath and He immediately does so. The man with this paralyzed hand is healed: note that it doesn't happen until he stretches out his paralyzed hand! How could this happen? We may understand that any time any of us expresses a will to obey God, He will bring the grace necessary for us to do so! So this man expressed faith in Christ, and as a result was able to extend his hand, and thereby receive healing, a bone fide miracle! And yet even witnessing such a thing, the Pharisees are more about making plans to destroy Jesus, rather than acknowledge the work of God and His rightful claim as the Messiah! Absolutely incredible blindness, arrogance and pride on their part! When the LORD perceived that the Pharisees were desirous of destroying Him, He withdrew Himself, for “His hour has not come” that is – the time of His Passion, which according to prophecy must be on a certain date, as well as His triumphat entry into Jerusalem. When He left the religious leaders, the sickly multitudes followed Him and He healed them ALL! Amazing how when the LORD shows up, no one ever stays sick – or even dead! Time and time again He proved Himself as the Messiah of Israel by the miraculous signs that He performed! Yet He never sought for notoriety or fame, but remained quiet in His faithful service to God the Father. This was the Servant of YHWH Who always did those things that pleased His Father (JOHN 8:29). He will show the justice of God to the Gentile nations, and they will come to trust in the Messiah along with Israel. The Messiah Whom the Father has entrusted all judgment to (JOHN 5:22) will bring on that Day the most severe and wholly just judgment upon all unrepentant sinners, and there will be no vindication or dismissal of a single soul on that day. All will be condemned by the Holy Law of God and sentenced to an eternity of hell. Yet the LORD Jesus Christ's mission during the time of His First Advent was not to judge or condemn the world but to offer salvation (JOHN 3:17) to all who will come to Him! In gentleness and meekness He approaches us – not breaking bruised reeds, that is, despising and trashing the broken and wounded of this world; not quenching smoking flax, that is, not being impatient with those who are slow in their response to the Gospel message; rather He has come to seek and to save the lost because now is the time of salvation, the era of redemption through the Lamb of God Who takes away the sin of the world! See LUKE 19:10; 2 COR. 6:2; JOHN 1:29. Rob Bell of Emergent Church Movement fame wrote a book entitled LOVE WINS in which adherence to Universalism is most prevelent. We have an article on The RED PILL Consortium called LOST LOVE which responds to this book and false doctrine. The glorious truth is that our precious and beloved LORD Jesus Christ has succeeded in bringing “justice to victory”! But what does this mean exactly? God is immutable which means that His essential nature of holiness cannot change, diminish or be altered in any way. 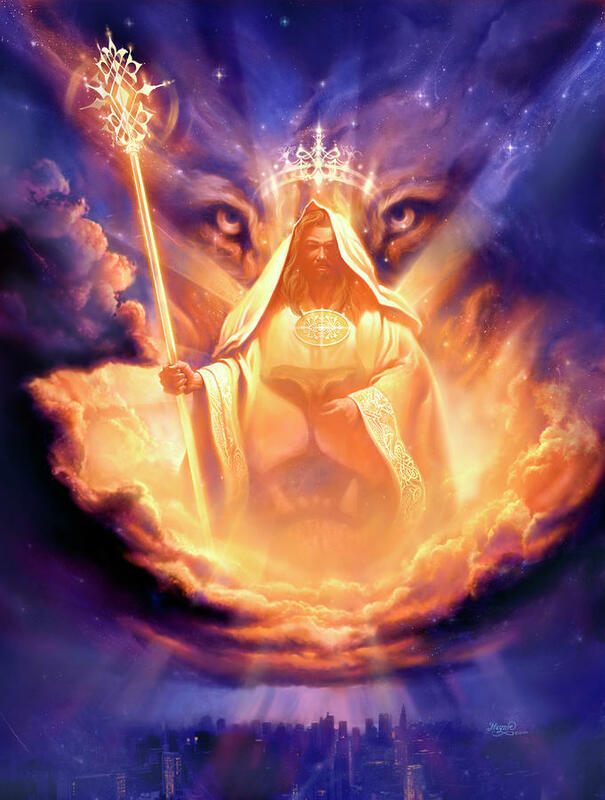 Thus where He is confronted by sin (sin could be perceived as 'high treason against the holy King of creation) He is compelled by His nature to judge the one who committed that criminal sin. This is why Satan and all of the fallen angels that followed him in rebellion are destined for judgment and condemnation (MATT. 25:49). Because of the fact that Adam likewise committed what is known as the original sin (the initial sin that infested the First Man and was passed on to his offspring in the form of a sin-nature) he also was destined for judgment and condemnation. God has no other choice but to judge sin. However, God promised that He would send a Savior who would be 'the seed of the woman' (GEN. 3:15). 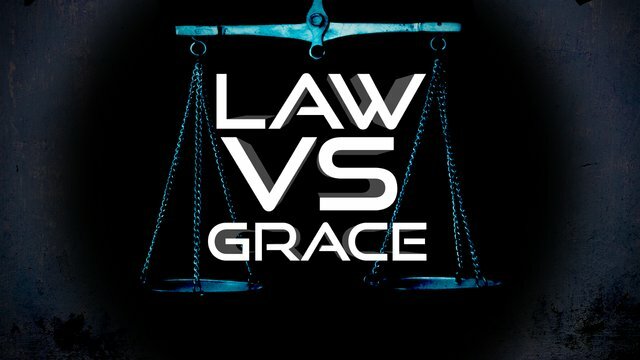 Yet this holy Servant of YHWH, the LORD Jesus Christ sent justice unto victory; that is, He suffered Himself the sins of all humanity as the Lamb of God (the veritable scape goat; LEV. 16:5-26) and received the full judgment and punishment that the Holy God demanded as payment against the debt owed to Him by sinful humanity! In exchange, this Lamb of God has offered eternal life through His sacrifice and we receive such by receiving by faith the Person of Jesus Christ through His Spirit. Thus the truth of God's justice and His mercy towards us are “met together” (PS. 25:7); the righteousness of His Holy Law and the peace offered to us by Jesus Christ (ROM 5:1) “have kissed each other”. 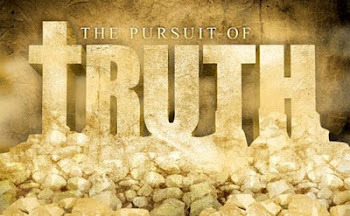 Truth indeed sprang out of the earth; Jesus Christ Who is Himself the Truth (JN. 14:6) rose out of the tomb in holy resurrection and the holy, righteous eyes of the Father looked down from heaven and was satisfied by this propitiation (ROM. 3:25; 1 JN. 2:2, 4:10) from His Son! There is victory in God's plan of salvation; He has been satisfied through His Lamb in both capacities of justice and mercy! Here we shall end Part One of this study, as we still have twenty eight verses worth of exposition to examine! Until then, may the LORD Jesus keep us in His grace and truth! Amen!